Extra Eyes Photo Tours will take you here. Acadia National Park is a National Park located in the U.S. state of Maine. It reserves much of Mount Desert Island, and associated smaller islands, off the Atlantic coast. Originally created as Lafayette National Park in 1919, the oldest National Park east of the Mississippi River, it was renamed Acadia in 1929. Thunder Hole is an inlet that is naturally carved out of the rocks. The water rolls into the inlet and is forced into a cavern and when it rushes out it gives a large bang like a clap of thunder. The water can come out and go as much as 40 feet into the air. When you come around the corner to Thunder Hole, roll your window down so you can listen to nature talking to you as you approach. We can him and haw here and tell you about the magnificent views, the incredible colors, the dynamic shapes and go on and on but we won’t. We will just inform you that this whole park is one of the most incredible places in the USA. 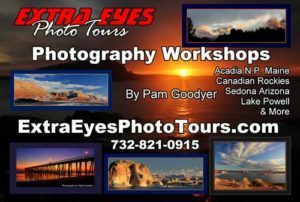 If you would like to do photography morning to night for days in a row, put this on your bucket list. It doesn’t get much better than this. If you are looking to leave here and head to another northern location, read all about our journey from Acadia National Park, Maine to Fundy Trail, Canada. It is an incredible journey. >Read more here. Lens: This is a wide angle lens location. When to go: This is dark sky area. Only go when there is a new moon or you will regret all of the milky way photos you missed out on at night time. If you don’t care about the Milky Way you can go at any time but be sure the roads are open in the winter before going. Read about dark sky photography here. Aperture Priority – It is used to get your depth of field (control how much is in focus from your subject back). If your shutter speed drops to 1/30th of a second, it is because you lack light and you will need to put your camera on a tripod to avoid blurry pictures. Anything handheld below 1/30th of a second will be blurry. The higher the “f” in number, the less light that will into the camera and your shutter speed will drop to let more light in. When your “f” number goes up, your aperture closes. At f-22 you are barely letting any light in. Always watch your shutter speed. When taking your shot look at the bottom of the screen through the viewfinder and check your shutter speed. Do not to let your shutter speed go too low when hand holding. Sometimes you cannot get a super high f stop because you do not have enough light. This will happen quite often at times such as sunset. Again, put your camera on a tripod and now your photos will not blur except for any subject that is moving in the image. You might want the opposite effect. That is when your subject is in complete focus, and the background is totally blurred called the bokeh effect. You will use your lowest F-number such as 2.8, or 3.5. Go as small as your particular lens will allow. Shooting in Aperture Priority allows you to control this. Shutter Priority – If you have moving subjects such as the birds flying or boats moving you will want to shoot in shutter priority to be sure they come out clear. When boats are slowly going by shoot at 1/250th of a second and adjust your ISO accordingly. If they are moving very fast increase your shutter speed to about 1/500th of a second. If it’s a bright sunny day go as high as 1/1000th to 1/1200th of a second to get the birds crystal clear as they fly by. Manual Mode – You have moving waters here. You can do your long exposure running, milky water shots like our picture above. You will have to use a tripod for this effect. All of your settings will vary depending on the lighting and what neutral density filter you have. You will shoot in manual mode for the milky waters. ISO is always 100 or as low as your camera will allow. Aperture is f22. Your shutter speed will vary depending on the light. Take some test shots to decide on your shutter speed after you put your neutral density filter on. (It’s like sunglasses for your camera to stop light from coming in). Use your live view mode to focus to lock the mirror up and avoid any camera movement. Use your shutter release or your 2-second timer to also prevent camera movement. Voila. You now have your milky water exposure. You will want at least a 2-second exposure for water. If you don’t have a neutral density filter, you may not get more than 1/15th of a second in the sun. That does not give you a good effect. Go to our store to buy your ND filter. I have a 3.0 for super long exposure in the sunshine. Gear: Bring your tripod and your circular polarizing filters. The circular polarizing filter will make your white puffy clouds burst and deepen the blue around them. It will also take the glare off of the water and replace it with reflection. Bring your tripod in case there is not a lot of light to work with to get your depth of field when desired. Don’t forget your neutral density filter to do long exposure shots of the moving water. The Colony’s Bar Harbor area cottages and Motel are located on a grand sweep of lawn overlooking Frenchman’s Bay. Our cottages are just a five-minute drive to Bar Harbor, and Acadia National Park. The Colony Cottages are ideally located to be a Bar Harbor haven or your Bar Harbor headquarters to the many attractions of Mount Desert Island. The Colony Cottages and Motel offers a little bit of everything for your Bar Harbor lodging – with a sense of yesterday; the privacy of a cottage or motel unit, and the opportunity to meet other guests. Relax as you enjoy our panoramic views of Bar Harbor’s very own Frenchman’s Bay. Entrance Fees: All park visitors are required to pay an entrance fee upon entry May–October. Passes are non-transferable. Credit cards are accepted at all fee collection areas. Admits private, non-commercial vehicle (15 passenger capacity or less) and all occupants. Admits one or two passengers on a private, non-commercial motorcycle. Admits one individual with no car. Closed annually December 1 – April 14. Road opening may be delayed on years of heavy snow and ice. Two short sections remain open year-round. Closed November 15 – May 15. For current conditions visit Road Closures. Visit Trail Closures for information on closures associated with protecting nesting birds. For a map of these restrooms, click here. No lodging is located inside the park but there are plenty of hotels just outside of the park. Here are Pam’s Picks for the best bang for the buck. 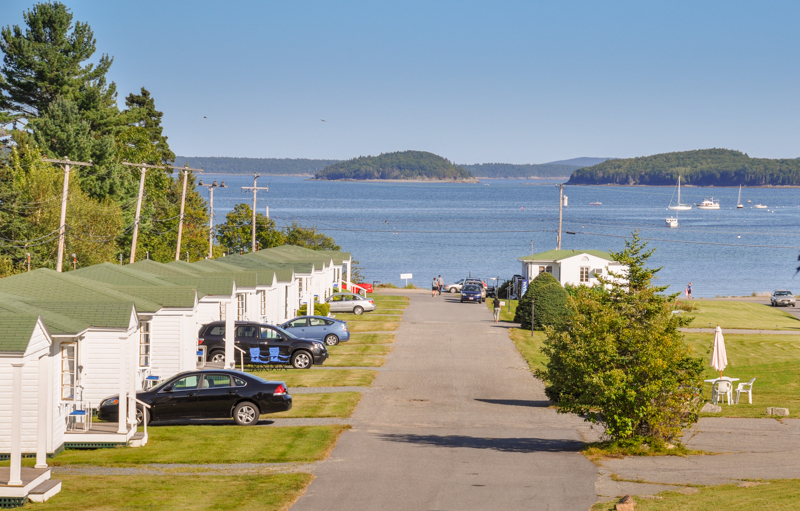 The Colony Cottages and Motel – 20 Route 3, Hulls Cove, Bar Harbor, ME, 04644, United States of America, 888-950-5062 – See the pictures and details above. Located inside the park. This is where we stop to eat. 207-667-1955 – This is where you go to do sunset photography and enjoy your incredibly fresh lobster dinner. Don’t go here and not have lobster. I actually got up during dinner and did some sunset photography and came back. I was out on the deck. No one seemed to care. I could have shot it from my seat but of course, I needed just the right angle. There were a dock and a man fishing below to get in my sunset shot. Perry’s is run by Perry and his wife Beverly. The lobster shack is on the side of Newbury Neck Road, with stairs leading to the town beach. Perry’s menu is simple, with fresh lobster, mussels, and corn on the cob. May – October: Reservations recommended. 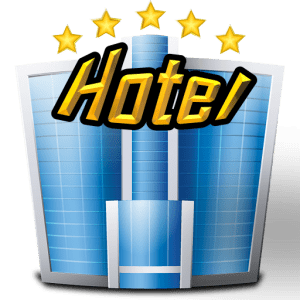 Fee: $30 per site, per night. December – March: A limited number of campsites are available for primitive camping only in the offseason at Blackwoods. 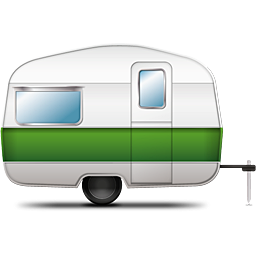 During this time campers must obtain a camping permit from the dispatch at park headquarters (8 am – 4:30 pm daily). Facilities are limited to a hand pump for water and a portable toilet. The campground entrance road is closed to automobiles during this time; campers are required to hike in from the campground entrance on Route 3. Campers must pack out all trash. Fee: Free. For more information, visit the Winter Camping page. Located on the Schoodic Peninsula, this campground is 3 miles (5 km) southeast of Winter Harbor. It will open in 2015 from September until Columbus Day. After this season, it will be open from late May until Columbus Day. The entire campground will be first come, first served this year. Reservations for following years are highly recommended. Fee (per site, per night): $22 walk-in tent sites, $30 drive up tent/small RV, $36 RV with electric only sites, $40 RV with electric and water. Discounts available for Senior and Access (Permanent Disability) pass holders. Click here to see what the weather is in the park.